There are many options to providing you with the best comfort system. Choosing the right system is one of the most important decisions you will make about your home. An HVAC gas pack is a heating and cooling system with the gas heating element and the air conditioner housed together in a single unit. Gas packs use propane, natural gas or oil for heating purposes, and for cooling purposes, it uses electricity. They are simple to maintain in comparison to other systems and repairs are generally cost effective. 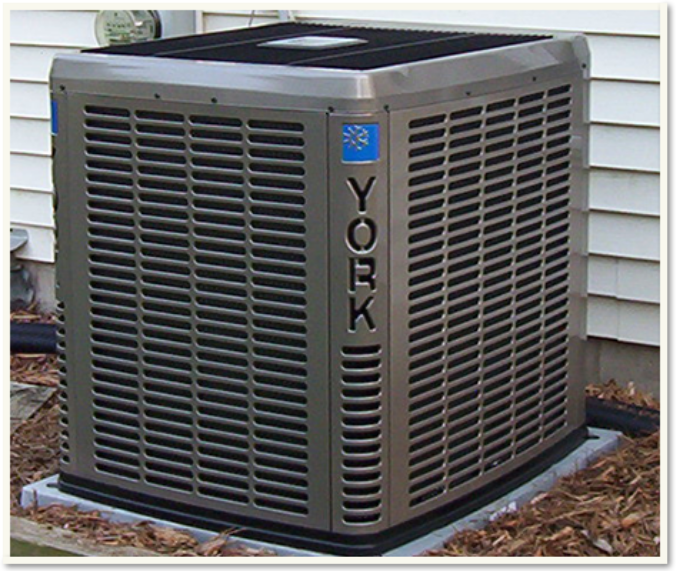 Other types of HVAC package systems include heat pump and duel fuel units. Duel fuel units feature a coil and electric heat pump connected to a gas furnace, and an outdoor thermostat helps the system decide which device to run. Much like the a HVAC gas package unit, the package heat pump units house the heating element and air conditioner in a single unit. The difference being that a package heat pump unit runs solely off electricity and does not have require a fossil fuel to operate the heating element. A package heat pump is generally a better system for units with mild winters as it does cost more to run electric heat than heat fueled by LP (propane) or natural gas. There are (2) types of gas furnaces mainly found in residential homes; gas furnaces and oil furnaces. In a gas furnace, the heating component in a majority of systems in colder weather climates, it converts gas to heat. In an oil furnace, it utilizes oil as its fuel instead of natural gas. The main components to a furnace include burners, a heat exchanger, a blower and controls. Replacing the old furnace in your central heating system with a new, more efficient model can offset volatile energy prices. Money aside, today's furnaces have a smaller environmental footprint and boost comfort by producing heat more steadily than older furnaces. Gas is the most common heating fuel and this report focuses on gas furnaces. (To find out which brands of furnaces are the most and least reliable, check out the frequency of repair report from the Consumer Reports National Research Center). A gas furnace is an efficient and effective way to warm a home. While some people complain that electric heat is not warm enough, gas heat provides warmth that feels comfortable and warm. Using gas as fuel for a heating system is typically less expensive than electricity. If you question whether gas or electric heat is more expensive in your area, contact the public utility service in your area. They can provide you with the estimated cost per day to heat your home with each type of fuel. This allows you to determine for yourself which heating source is most economical. When you install central air conditioning size matters. Underestimate your cooling needs, and you could be sweating. Buy more power than you need and your living space may become cold and clammy. Any contractor you hire should calculate the size of the cooling equipment you need by using such recognized methods as the Air Conditioning Contractors of America (ACCA) Manual J. If you already have ductwork for your heating, adding a central system can cost less. But keep in mind that ducts used for heating might not be the right size or in the right location for optimal cooling. Your contractor should use a duct-sizing method such as the ACCA Manual D. The pros should make sure that all duct sections are properly sized and that there are enough supply registers to deliver sufficient air to the right spots. Not only is the proper size ductwork essential for meeting each room's cooling needs but also because undersized ductwork can make for noisy operation. Leaky or uninsulated ducts can reduce system efficiency considerably. All joints and seams must be sealed--and not with duct tape that can dry and fall off. If your home doesn't have ducts, adding them can be expensive, though if you plan to cool your entire home, central air is typically the best choice. If you are not planning to cool the entire home, you might want to consider a split-ductless system. Unlike central systems, split-ductless systems need no ductwork (though they require connections for electrical, refrigerant and condensate drains), making them easier to add to homes with designs that aren't conducive to installing ductwork. Ductless, mini-split-system heat pumps (mini splits) make good retrofit add-ons to houses with "non-ducted" heating systems, such as hydronic (hot water heat), radiant panels, and space heaters (wood, kerosene, propane). They can also be a good choice for room additions where extending or installing distribution ductwork is not feasible, and very efficient new homes that require only a small space conditioning system. Be sure to choose an ENERGY STAR® compliant unit and hire an installer familiar with the product and its installation. Like standard air-source heat pumps, mini splits have two main components -- an outdoor compressor/condenser and an indoor air-handling unit. A conduit, which houses the power cable, refrigerant tubing, suction tubing, and a condensate drain, links the outdoor and indoor units. VRFs are typically installed with an Air conditioner inverter which adds a DC inverter to the compressor in order to support variable motor speed and thus variablerefrigerant flow rather than simply on/off operation. By operating at varying speeds, VRF units work only at the needed rate allowing for substantial energy savings at partial-load conditions. Heat recovery VRF technology allows individual indoor units to heat or cool as required, while the compressor load benefits from the internal heat recovery. Energy savings of up to 55% are predicted over comparable unitary equipment. This also results in greater control of the building's interior temperature by the building's occupants.